Bethel Christian Guest House is an ideal stopover for couples coming to Othaya Nyeri. Situated on a consecrated area, the accommodation is quiet and drawn away from the noise and bustle of life. Guests can experience Christian hospitality at its best. The establishment is an alcohol and smoke free area. Little compares to the environment in Bethel Christian Guest House. The perfect getaway for single / married couples and family. 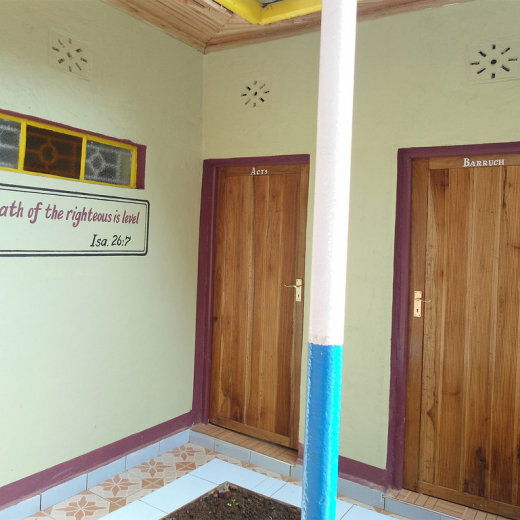 Bethel Christian Guest House offers eight clean and simple rooms with instant hot water showers. Guest can enjoy ambient lighting, cable television in every room and free Internet access. Christian music is available to every room and there is ample secure parking. These rooms are all furnished with double beds and have private bathrooms with showers.